#CyberCop: Susan McLean from Cyber Safety Solutions talks with Leah, Felix and Tahlia about some important things to know about cyber safety, and in particular, the trend that is entering the school yard; BYOD or “Bring your Own device”. 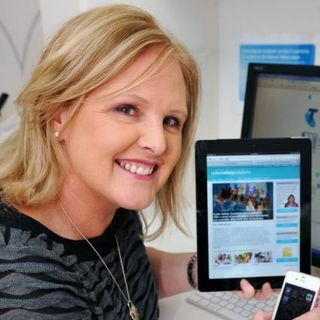 Susan is Australia’s leading expert when it come to the area of cyber safety and young people. Susan was a member of the Victoria Police for 27 years and is now widely known as the ‘Cyber Cop’. Giving hundreds of presentations each year around Australia, Susan ... See More is highly regarded across the nation - with Governments, Elite Sporting groups, International Corporations, Mental Health workers and schools turning to her for support and advice. You can support our youth media charity simply by purchasing the Music Matters IOA Charity Album, which is available via www.musicmatters.org.au - every purchase is going towards helping support important youth initiatives including young people in need.